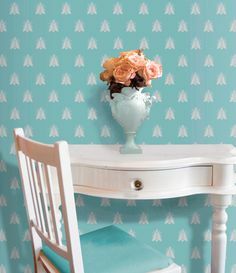 Stencil designers today have created such a variety of stencil designs to choose from, that it’s almost impossible to keep track of exactly what’s available, let alone remember where to find it. That’s where StencilSearch.com comes in. StencilSearch.com has a stenciling blog, links, listings, directories, guides, and articles. Best of all, it has a search feature that enables you to search for stencil designs from the most popular and talented stencil designers on the Web. Take a look around. Who knows, you might just stumble across that perfect stencil! If you find this site useful and would like to help support it, please submit an article, link to us from your own site, or shop for stenciling books through our affiliate links. If you have a stenciling-related business, consider becoming a paid advertiser.